That's all she has to say. She doesn't say much. Apparently she doesn't like awkward situations. Go figure. I smiled at the thought. I rose to my feet and patted the tree with a quick apology. "Sorry tree." I walked off. Not towards the barn, but towards the town. Mostly because I was hungry. I trailed a small 1960's built truck for a while before stopping into a coffee house. I licked my lips and inhaled the deep, alluring scents. Scones, coffee, cookies, cupcakes and other treats filled my nose. The scent made my mouth water. I decided to pick something out for Stephanie. She had witnessed a temper-tantrum of mine. It was the least I could do. I walked out with two coffees, and two scones. I brought them back to the barn. Coffee? Stephanie sniffed at the air curiously. 'Why would there be coffee in an abandoned barn?' she thought. She scanned the surrounding areas when she spotted Nay with coffee and scones. A faint smile flickered across her face and she rose to her feet. "I was wondering where you went..." she said as she strolled over. Her hands were behind her back and she was rocking back and forth on her heels with a wide grin. She then spun around and gestured to the two piles of hay. "Beds...one for me and one for you. There wasn't really enough hay to make two, but I did my best," she explained. Hay. Brilliant. "Well, I have connections. I could get us a hotel room." I rubbed the back of my neck. I had forgotten about my connections. Then I realized what I said. Hotel room? That sounded...perverted. I hope she didn't think I just wanted...nevermind. I blushed thinking of the thought. Then I shifted my weight onto the other foot uncomfortabley. Was it just me, or was it getting hot? I tugged on the collar of my shirt. Stephanie frowned as she watched Nay fan his shirt. "Are you okay? Maybe you do have a fever..." she said, taking a step towards him. "Come on...let's get a room somewhere. I'll tend to you there and make sure you don't get sicker," she said. She handed him her scone. "Here...you should eat something," she said with a concerned expression. She then gently took his hand, leading him out of the barn. "Don't want you sleeping in a dirty old barn in you're sick..." she said. "And I hope you don't mind...I might just stay in your room. It's cheaper that way. But don't worry, I'll sleep on the floor or in a chair or something," she said with a reassuring smile. I sighed, "I'm not running a fever. I'm not sick. And yes we'll get a hotel." I sighed again. I closed my eyes while I continued blushing, "I like like you. Ever since the moment I saw you. And please, gods, don't sleep on the floor. That's my job." I smiled and practically floated out of the barn. Leading me to sneeze. Hey, it wasn't my fault it was dusty in here. I took a sip of coffee and looked at her to see if she was following. Stephanie blinked, staying glued in her spot. "Wait....what?" she asked in a completely stunned tone. How could someone know that this quickly? It baffled her. "So...you knew this right when you saw me? How? You've known me for what...a day? I can't even tell these things.." she said, sinking down to the ground. She was obviously thoroughly confused. It felt as though someone had taken her head and used it in a game of spin-the-bottle. She clutched chunks of her hair, her thoughts roaring through her mind in a deafening tone. "I like you." I said slowly. "Even though I've only known you for a day, I can just tell. Being sensitive and having good hearing comes with being a son of Euterpe, y'know." I pointed out walking over to her. I slunk down next to her and draped my arm around her shoulders. Like a friend. A caring, hot, friend. As I watched her clutch her hair, I wondered if she was torn about this. Probably. I wondered if she got headaches. Like I did. Stephanie loosened her grip on her hair and looked over at Nay. "Can..." her voice trailed off as her gaze met his. Her cheeks flushed a deep shade of scarlet and she quickly averted her gaze. She frowned, fiddling with her yarn head band awkwardly. Her heart felt as though it was going to escape from her chest it was beating so quickly. "Let me just try something..." she said. Without waiting for a response, she hesitantly leaned towards him and gently pressed her lips to his. She wasn't sure how else she'd know if she had feelings for him...he was never able to tell what she wanted unless she experienced it first hand. As her heart began to flutter and she caught her breath she knew her answer. Rather than speaking, she deepened the kiss, intertwining her fingers with his. Er...let me go over her ever-changing emotions. At the beach she was a little silly and happy. On the dragon after I sky-dived she punched me out of anger. Then after she punched me she was full of melancholy. Then I think she might have been jealous with Melanie and scared of me when I had a fight with a tree. Then she was happy again when I brought her a treat from a bakery, finally she was confused and then anxious while kissing me. Hm, I could get used to this. Kisses and ever-changing pretty girls. I could really really get used to this. Now she was kissing me, intertwining our fingers. I wrapped my free arm around her neck and pulled her closer. "Bloody mother of my mother's mother." A very familar voice said behind me. I unlocked my lips and turned around slowly to see the handsome and almost identical, to mine, face of Wesley O'Neil. 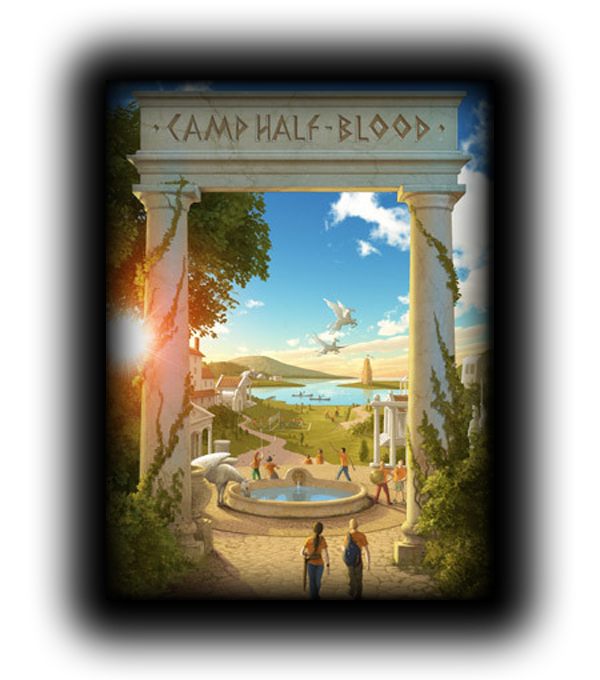 Halfblood. My brother. He smiled and shook his perfect blonde hair. His ice green eyes sparkled with something I couldn't place a finger upon. Stephanie pursed her lips as she looked up. Her eyes widened a bit. "No way...it can't be that easy.." she said. Scrambling to her feet she walked over to Wesley she hesitantly poked his arm. "Yep...he's there. ONe down," she said, taking her seat beside Nay again. She glanced quickly between the two. "You two look alike..." she said simply. Penelope walked into the barn after Wesley, her eyes widening a bit as she saw. Wesley's younger brother? What was he doing here? "Nathaniel?" she said in an astonished voice. She turned to Wesley, gently nudging his arm. "Did you know they were here?" she asked curiously. Her hair was cropped shorter now, above shoulder length. It was still fiery red but now had some lighter tones from more time out in bright sun. ~Nahh...I'm too lazy. Gosh, I want Penelope to say something about his blushing. xD It'd be funny. "Penelope!" I exclaimed blushing furiously. Almost as red as Wesley was when he saw Stephanie and I kissing. "How is Johnny?" I asked trying to change the subject. I rubbed my arm nervously, my face still red. "Of course we look alike. We're full brothers. And two-year apart twins." I smiled nervously taking Stephanie's hand. Wesley said nothing. Stephanie raised her hands up in defeat. "Stephanie!" she exclaimed. She noticed the girl's confused look and she shrugged her shoulder. "What? Everyone was saying names...I felt left out.." she explained with a sheepish smile. She then turned to Nay, slowly nodding her head. "Well that explains the resemblance then, doesn't it?" she said with a small laugh. Penelope chuckled, looking over at Wesley. "You two have similar taste in girls then...screaming my name is something I would do," she said, playfully nudging Wesley. Turning to her brother-in-law she nodded her head. "He's good. We found a distant cousin of mine who's also a demigod. He takes care of him if we're needed to do something dangerous," she explained. "But usually we care for him ourselves," she added with a proud smile. "Well, do you two know of any good hote-"
"Quit making me blush! Nathaniel Michael O'Neil!" Wesley interrupted as a violent shade of purple-scarlet crossed his face. "You know she still makes fun of me. I'm just surprised she lost count." Wesley kissed her forehead. "Lovebirds..." I grumbled. Wes and I had always been the competitive type. Never over girls though. Well there was that one time with Genivieve and Danielle. But that was three years ago when Wesley and I were young, stupid lads. I smiled remembering the good times of teasing girls and our voices cracking and going to the beach in the summer. Stephanie glanced over at Nay with a curious expression. She placed a hand on his shoulder before she rose to her feet. "I'm Stephanie, Daughter of Psyche," she said, sticking out her hand for them to shake if they wished. "Nay and I...we were going to go searching for a few people. Wesley is it? You were one of them.." she said simply. She smiled faintly at the two, seeing how in love they were. She heard Nay grumble about it and she frowned. Without waiting for a response from either of them, she walked back over to Nay's side and gently grasped his hand, giving it a reassuring squeeze. Penelope grinned. "I lost count after you reached fifty on our first date," she added. She rose up on her toes a bit, giving Wesley a peck on the cheek. She then turned to the girl that had introduced herself as Stephanie. "Penelope...Daughter of Zeus," she said simply. She reached out, giving Steph's hand a shake before she let her own drop back to her side. "I didn't think it was that high." Wesley mumbled as his face turned slightly less red. "Wesley O'Neil, son of Euterpe, you probably our father, St-" I cut Wesley off with a punch to the stomach. Gods, she didn't need to know yet. I glared at the stomach-rubbing Wesley who returned the glare with ease. When Stephanie squeezed my hand, I wondered what that meant. Does she like me, or what? Girls, pfft. One minute they punch you in the jaw, then they are kissing you and holding your hand. Stephanie glanced curiously between the two brothers, feeling completely confused as to what they were talking about. She opened her mouth to ask, but she decided against it. 'Guess he doesn't want to tell me..' she thought simply. She looked over at Penelope a moment before her gaze flickered back to Nay. "So..." her voice trailed off awkwardly. Penelope gestured between Nathaniel and Stephanie with her index finger. "So...are you two dating?" she asked in pure curiosity. She looked over at Wesley then at Nathaniel, looking for his response. Yes you can tell her. If you really like her, you can and will. I will mess up your hair. You have to tell her! While Wesley and I were arguing, Penelope and Stephanie were having a conversation of their own. I heard Penelope ask something about Stephanie and I dating. "No, we aren't dating." Yet. We didn't really know each other. I didn't know her favorite anything, what was her last name again? Seee?! Stephanie watched the silent conversation with intrigue before she turned to Penelope. "Are they always like this?" she asked, arching an eyebrow. She herself, didn't like not knowing things. It always gave her a headache. Stephanie reached up, gently rubbing her temples a bit. Penelope nodded her head. "Yep, they are. They're always...just like this," she answered with a wide grin. She gently nudged Wesley in the arm and stood up on her tip toes to whisper in his ear. "Don't you think we should let them get back to their um....entertainment?" she asked in a hushed tone and a goofy grin. "Yes. Wesley, please leave. Now." I said taking my brother's shoulders. He tried to turn around and protest. He opened his mouth and noticed my blushing face. His eyes said, 'Ohh...' He understood. Wesley took Penelope's arm in his and they were off. "Bah." I spat. Not really spat, but you get the point. "Yeesh they can be so annoying. Espescially that flippy haired-freak." I muttered. Then I sat back down on the cold hard floor. I opened my mouth then closed it. I opened it again, "Well, which hotel do you want to go to? It's on me." Stephanie smiled, shrugging her shoulders. "I think they were nice. They both seem really interesting, and it's sweet how in love they seem to be...and it's also slightly sickening at the same time," she said with a laugh and a smile. Steph slowly strolled over to Nay, stumbling a bit on her way over. She laced her fingers with his, leaning towards him in a rather flirtatious manner. "I don't know...What do you think? And besides...I can't ask you to pay all by yourself," she replied. She felt as though someone had released a swarm of butterflies in my stomach. 'Was I being too forward, just taking his hand like this? Or should I have done something more? Ugh!' she thought frantically. Now she remembered why she always blocked these emotions out, because they caused her to overthink every little action far too much. Blushing I thought for a moment. Hand-holding...ah. I love it! "Well, I have quite a bit of money to my..." I stopped myself. I'd almost said name. "Quite a bit of money saved up from jobs." I looked down as I lied. I hated lying, but she couldn't know. She'd freak out. Or maybe she'd be like Penelope and completely understand it. But then again, Wesley just went around announcing those things. The things that I would have liked to be kept a secret. I was so deep in thought, I forgot to think about which hotel we could actually stay in. Stephanie frowned, tilting her head a bit. "Alright, I can always help. I've got some money as well...stuff I had saved for a while. Nothing too much, but it's enough to pay for a room. We can split the cost," she suggested with a shrug of her shoulders and a smile. Without waiting for a response, she started towards the door, tugging Nay behind her. She looked back and smiled, feeling her head begin to spin. How could she have not noticed these feelings before? Looking back, she found she had subconsciously noticed them... Giving a smile, sh turned towards the direction of the town of Cambridge. "It's about a two mile walk to the town, but it shouldn't take too long," she explained. "No, please, I insist you let me pay for it. I can't ask you to spend that much money." I said laying on the English charm. "Wait, you do know how big Cambridge is right?" I asked. I wondered if she was one of those Americans, who thought that all English towns were tiny specks on a map. Maybe. But I couldn't possibly imagine her being that...naive about other countries. "Cambridge is one of the biggest cities in England." I said raising an eyebrow. I groaned inwardly. I didn't want to walk. I was too lazy. Stephanie nodded her head. "I know...which is why I had us land so far away. It's pretty hard to hide a twenty foot dragon among all those people..even with the power of the Mist. We're two miles from the very outskirts of the city, if we want to get to the actual city it'll be a much longer walk," she explained in a rather dry tone. She hated it when people just assumed she didn't know what she was doing. 'If you would have just waited to see that you wouldn't have had to ask,' she thought in an irritated tone. Quickly taking a deep breath, she calmed herself down. 'I can't let myself get irritated...it will turn into anger,' she told herself silently. I let my hand fall from hers. "Sorry." I mumbled stepping a few feet away as I walked sullenly towards the direction we were supposed to be going. I hated when people where mad at me. I really did. It made me wanna cry. But I wouldn't do that in front of Stephanie. I put my head up and glanced back at her with a puppy dog eyes look. At the same time I was walking, I attempted to pull up my falling pants. They were skinny jeans for guys, hanging over Nike skateboarding shoes. My studded belt barely held the jeans up anyway. I attempted, yes, I tripped and fell on my face, blushing.